(Lincoln City, Oregon) – Get your glass floats while you can – and this weekend will be among the last you can find those artisan glass balls on Lincoln City beaches. The 2013-2014 Finders Keepers season is coming to a close on the central Oregon coast. 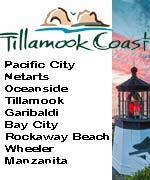 This weekend - Mother's Day weekend, May 10th-11th - 100 extra pieces of glass art, including floats, sand dollars, crabs and starfish will be on the Lincoln City beaches awaiting discovery. But it is the next to last opportunity, as the final drop will happen Memorial Day Weekend, later this month on May 26. This is the 15th and final special drop of the season, which marks over 3,000 floats placed on the beach this year alone. The next season will be kicking off October 18, 2014. 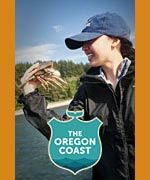 "We're always sad to see Finders Keepers wrap up," said Scott Humpert, Public Relations Coordinator for the Lincoln City Visitor and Convention Bureau. "Finders Keepers brings so many people to Lincoln City from both near and far. It is wonderful to see all the excitement it generates and the exposure it brings for the city, so we are definitely looking forward to another successful year to come!" Finders Keepers, glass floats on the beach, is currently celebrating its 15th anniversary. The signed, numbered, and handcrafted floats are hidden along the 7½ miles of public beaches in Lincoln City. When the floats are found, they become collector’s items. Bring your discovered treasure to the Visitors’ Center at 540 NE Hwy 101 in Lincoln City to receive your certificate of authenticity and a biographical sketch of the artist who created the glass float. Remember, if you find it, you keep it. 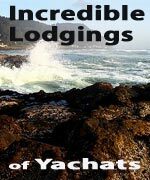 For those finding the coveted treasures, the new hip thing now is to share their finds on the Lincoln City Visitor and Convention Bureau's Facebook page at www.facebook.com/LincolnCityOregon. 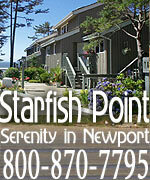 For more information contact the Lincoln City Visitor & Convention Bureau at 800-452-2151 or visit www.oregoncoast.org.